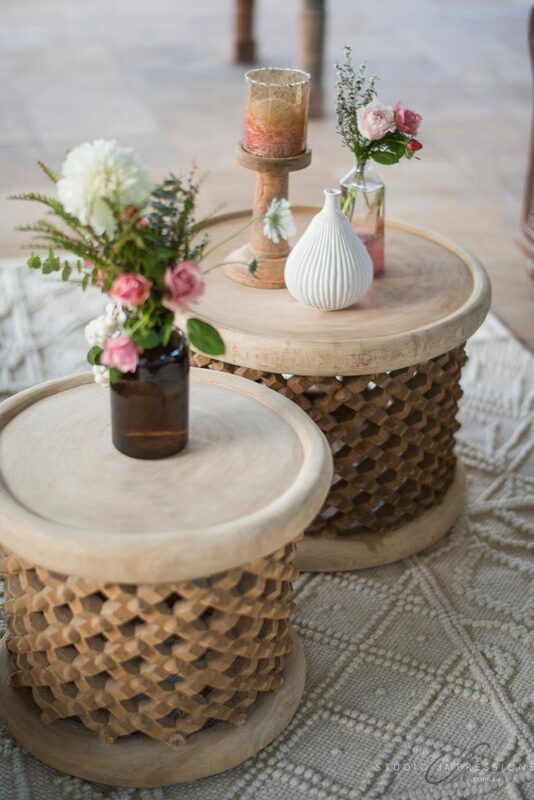 Showcasing the beauty in raw materials, layered with earthy hues and enhanced by the natural landscape. 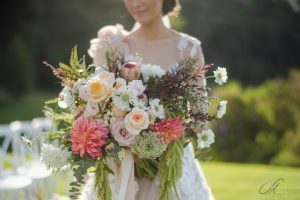 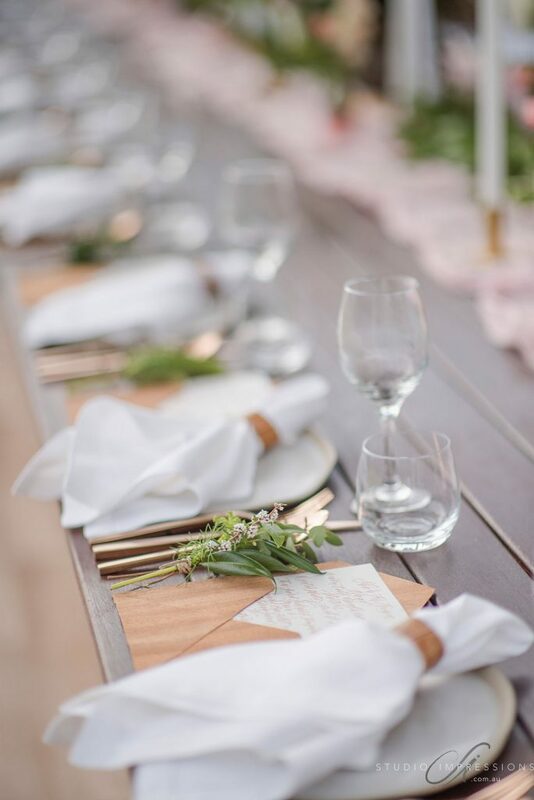 A base palette of Warm Whites… Complimented by Dusky Shades of Pink, Subdued Yellows, Earthy Peaches & Berries… Teamed with Leather, Woods, Gold & Natural Foliage. 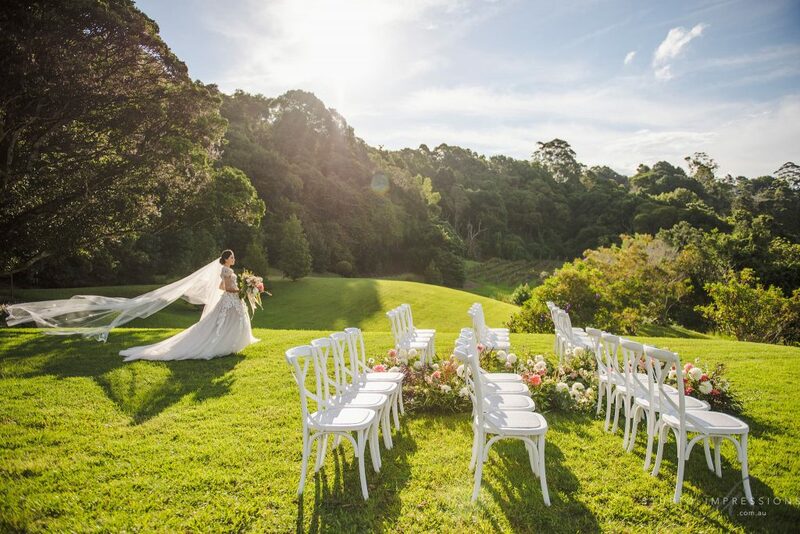 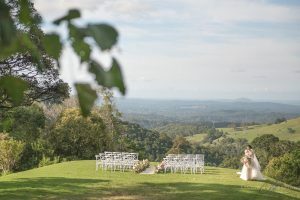 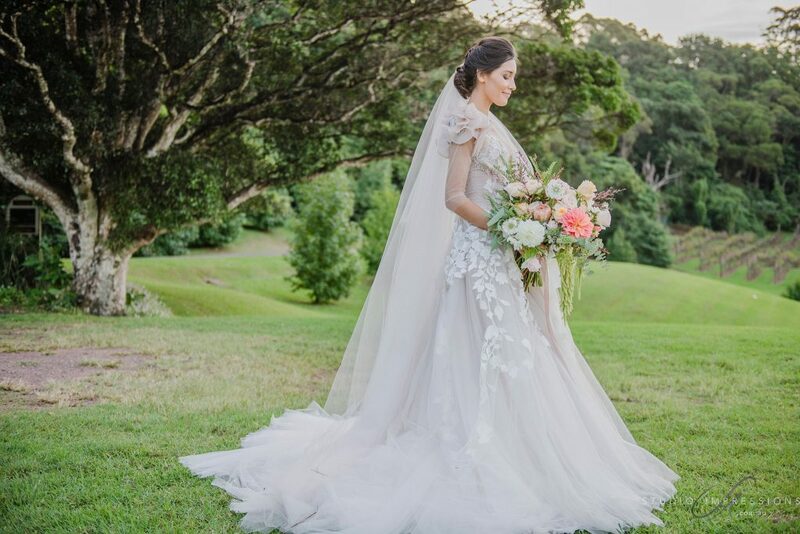 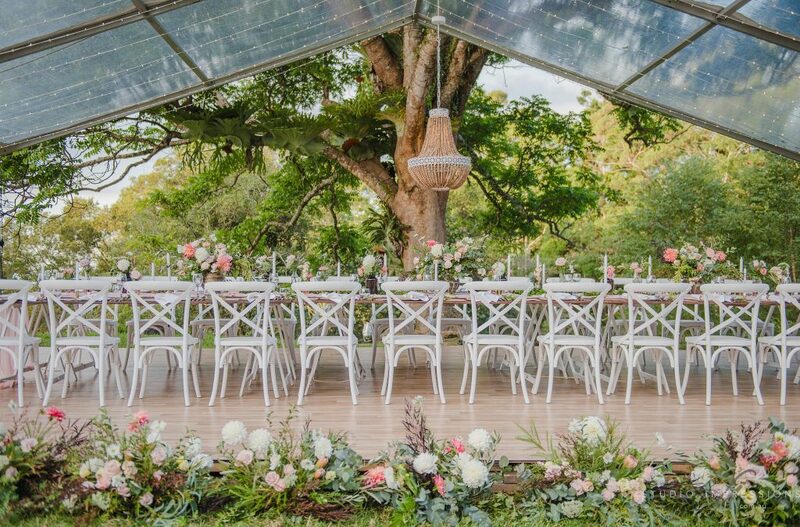 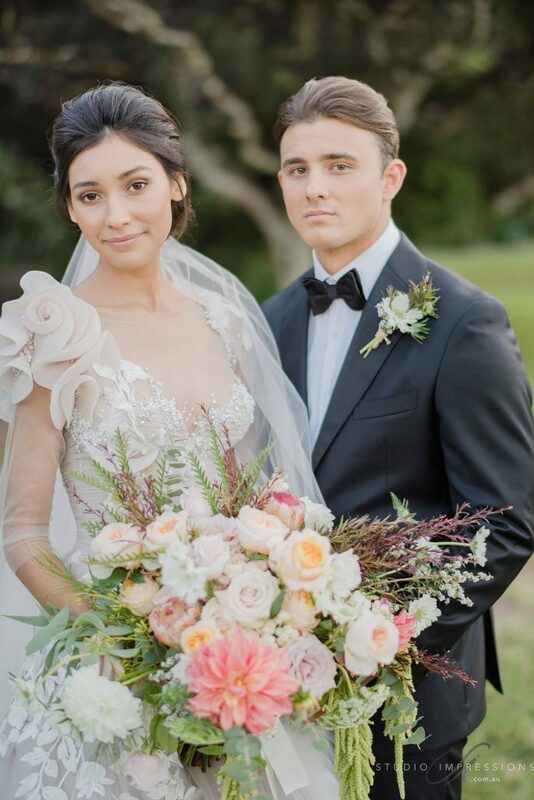 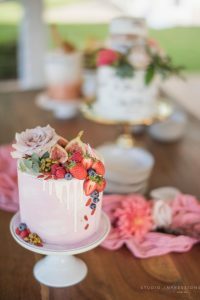 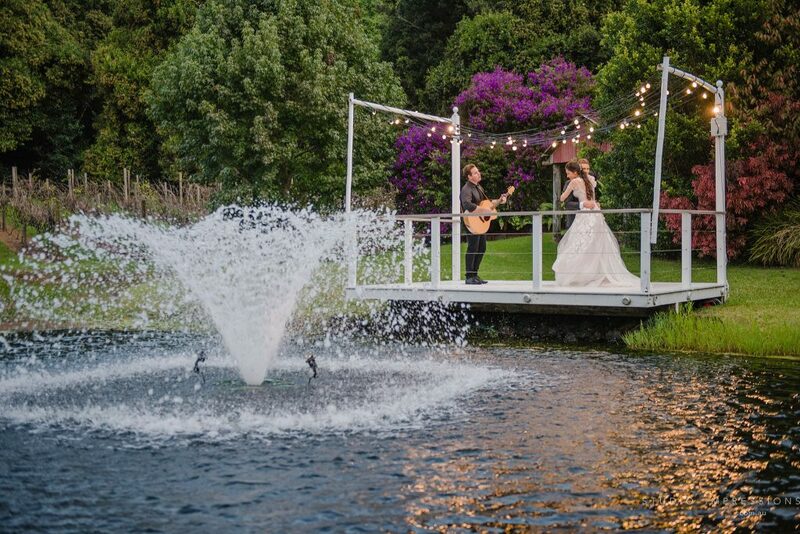 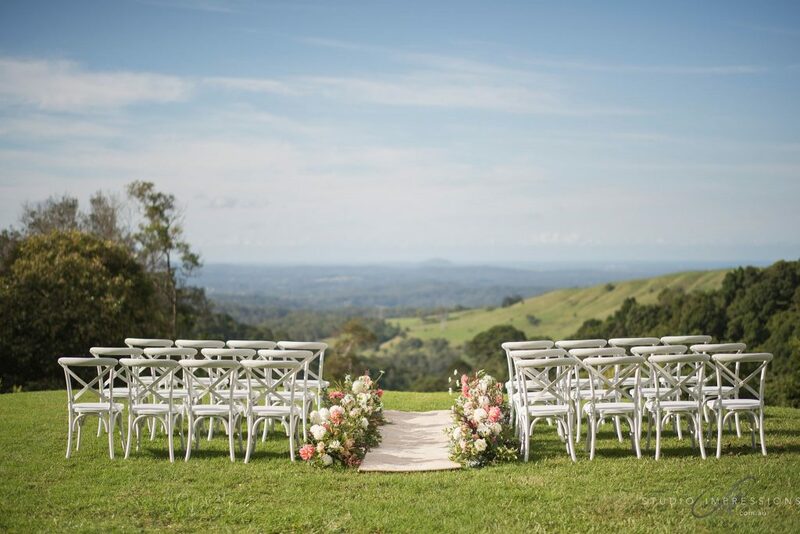 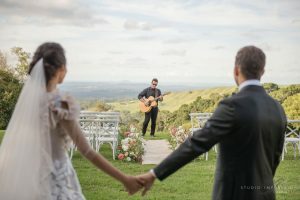 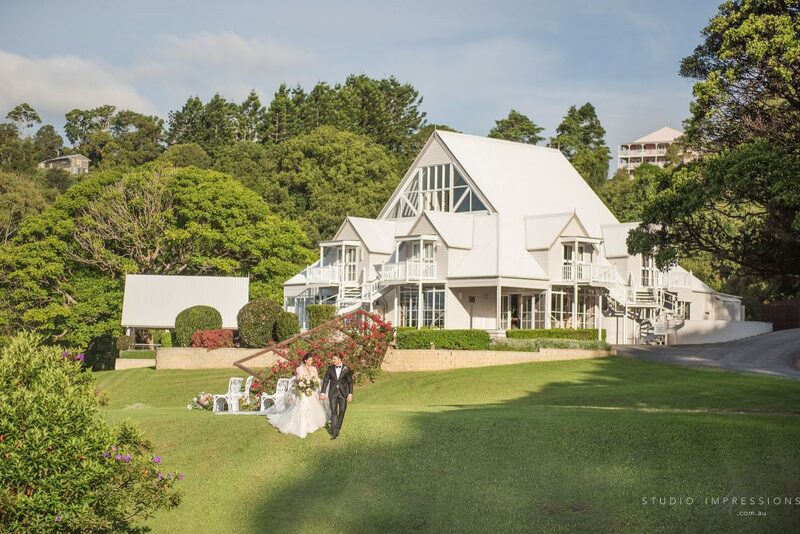 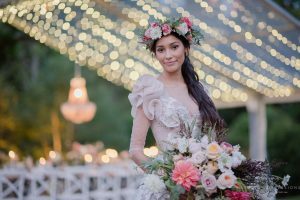 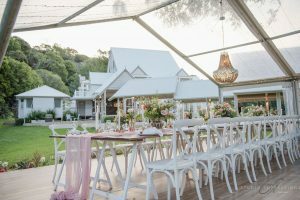 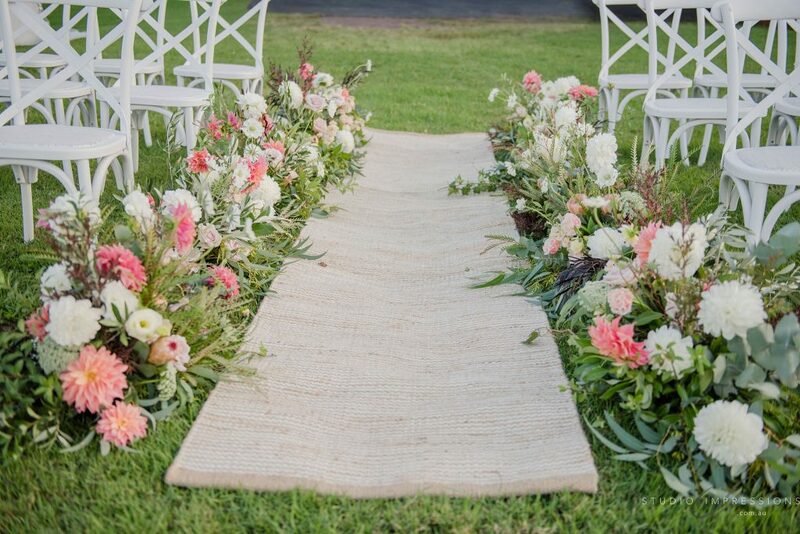 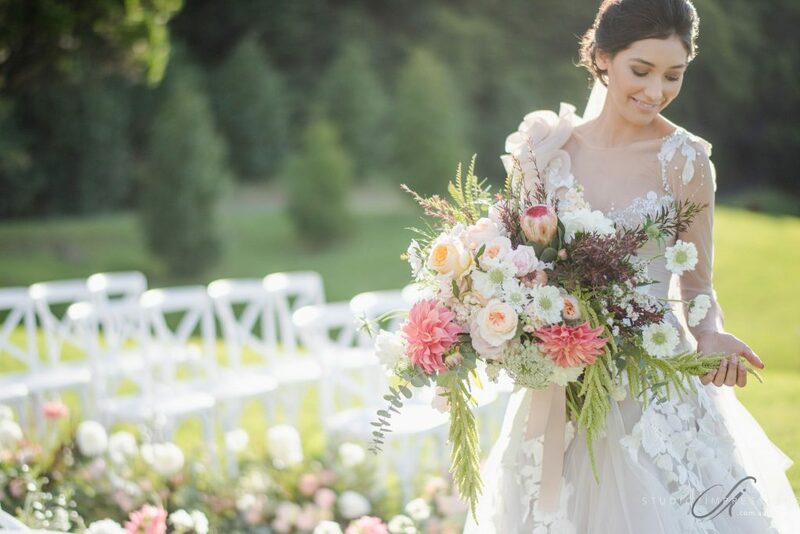 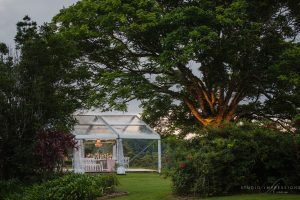 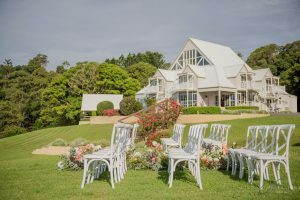 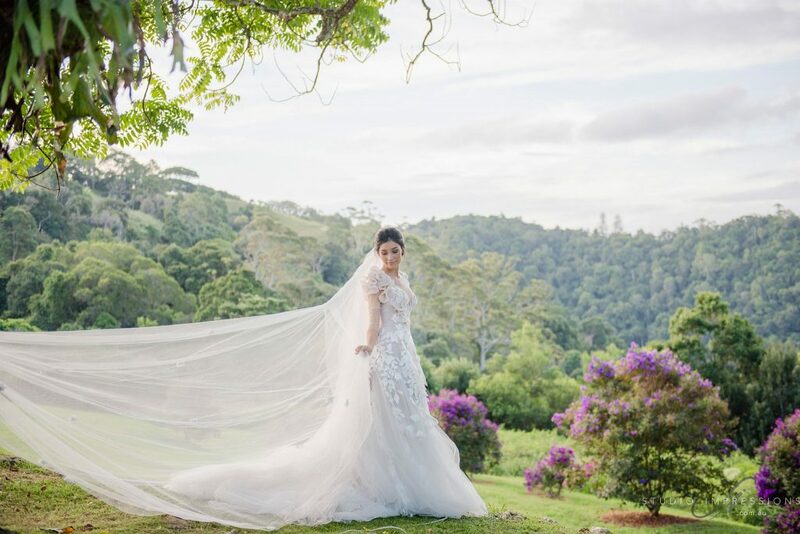 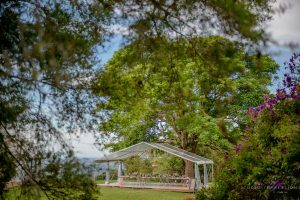 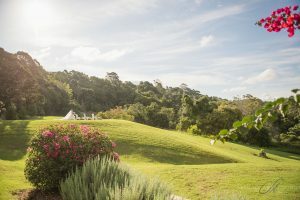 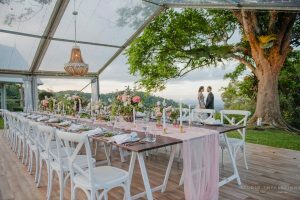 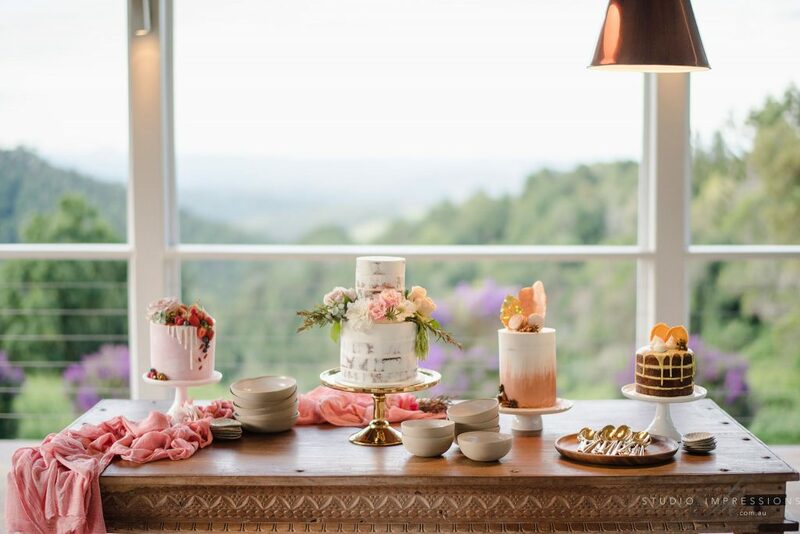 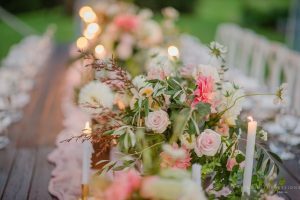 Our styled shoot takes place at Maleny Manor, a secluded private estate and one of the Sunshine Coast’s most prestigious wedding venues. 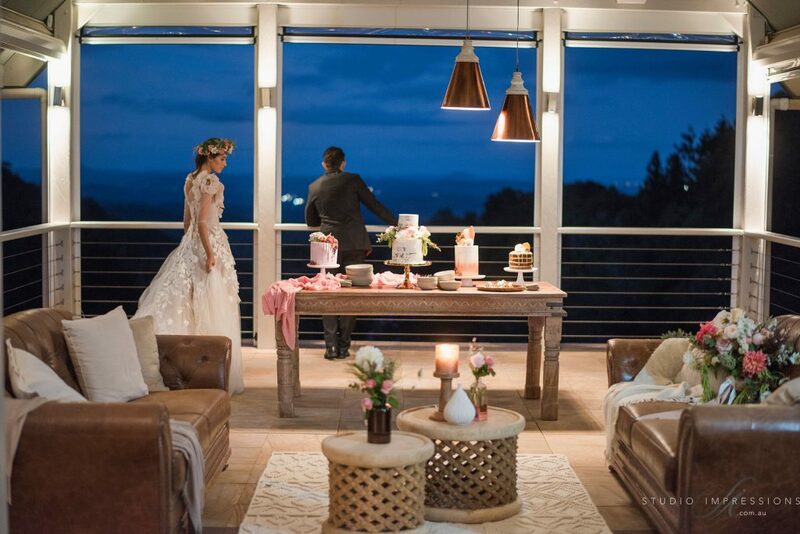 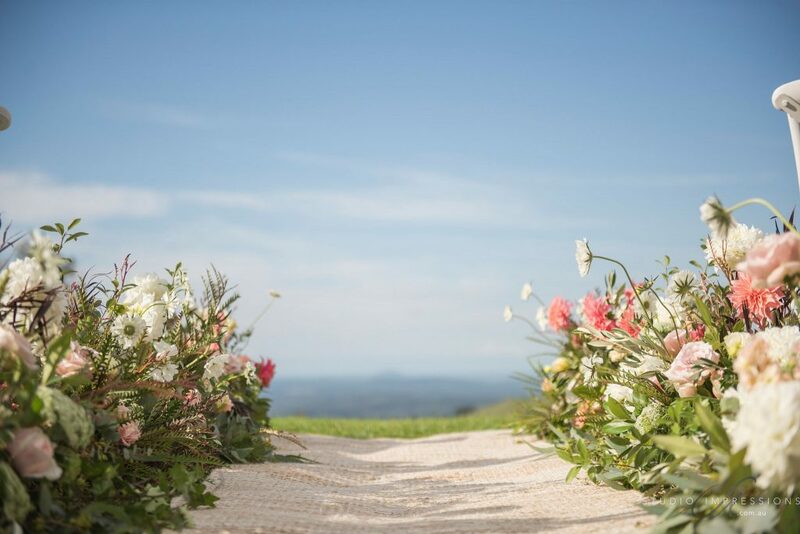 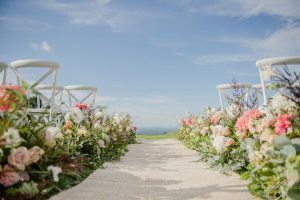 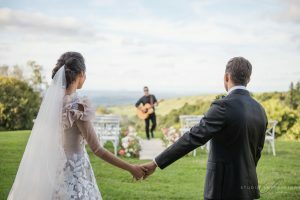 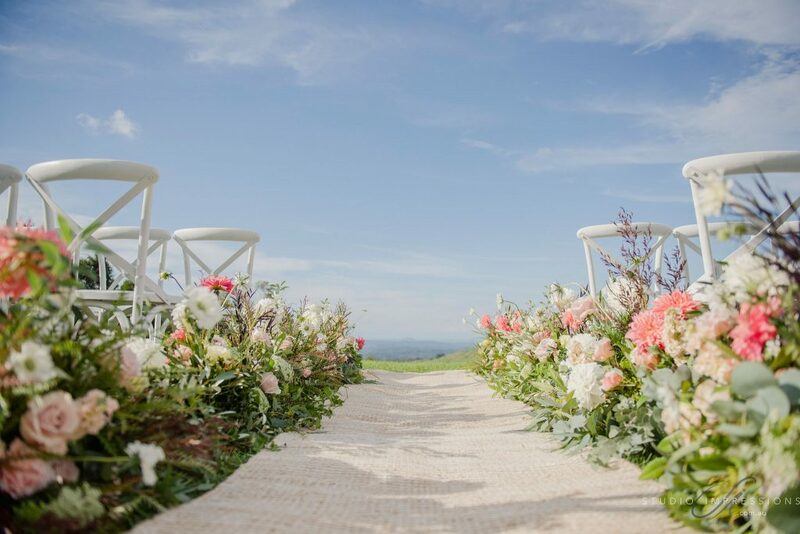 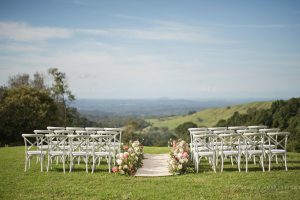 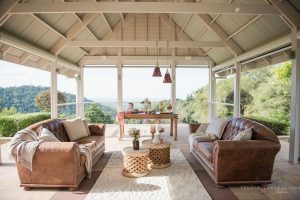 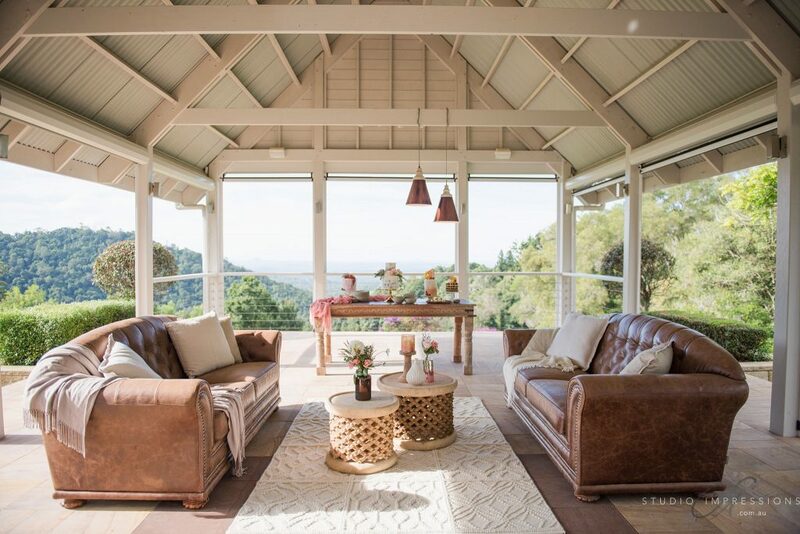 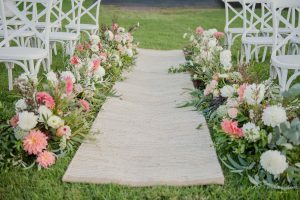 The concept behind the ceremony was to enhance to undulating view across the valley and out to the ocean. 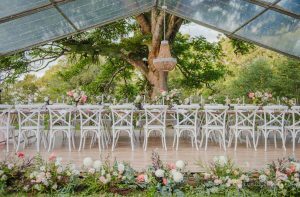 We kept this setting clean with a natural fibre aisle runner lined by a full and indulgent floral feature and crisp white Hampton chairs. 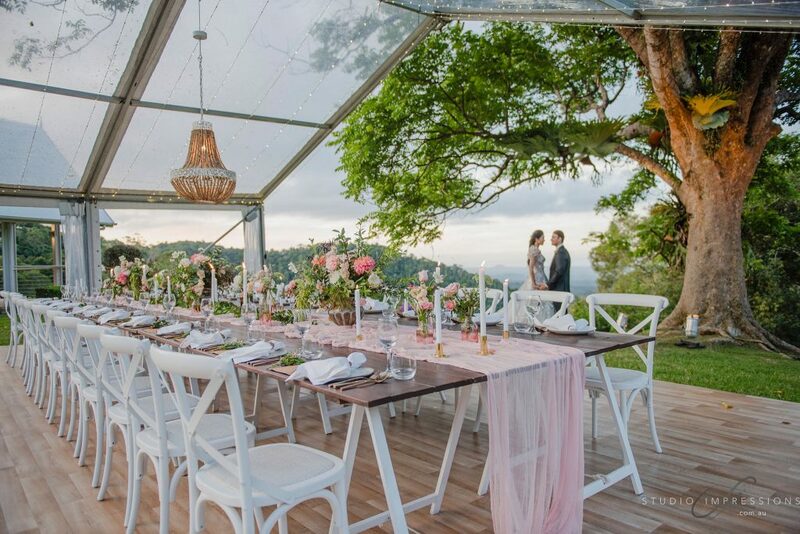 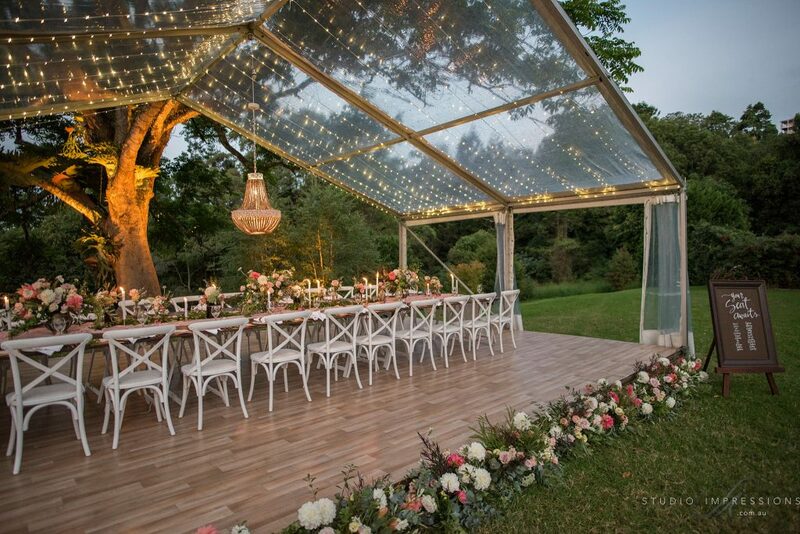 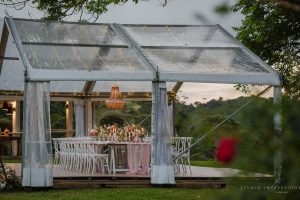 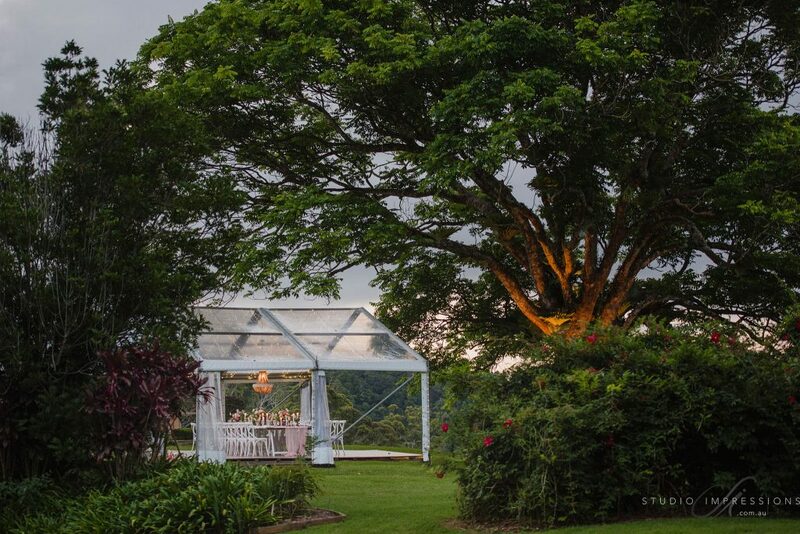 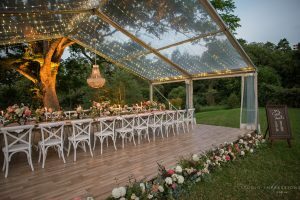 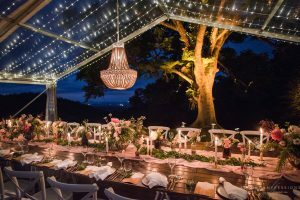 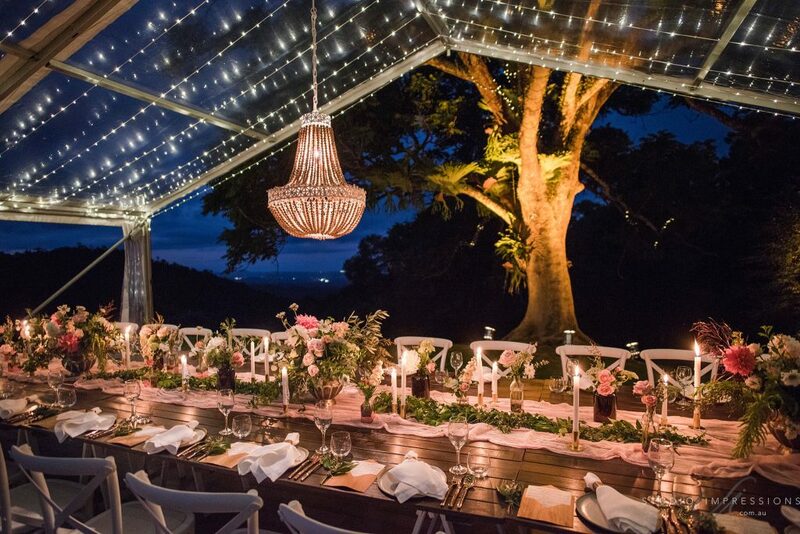 A clear marquee sitting on the edge of the valley showcases a relaxed, yet elegant, dining experience! 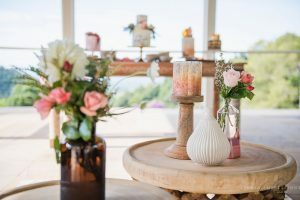 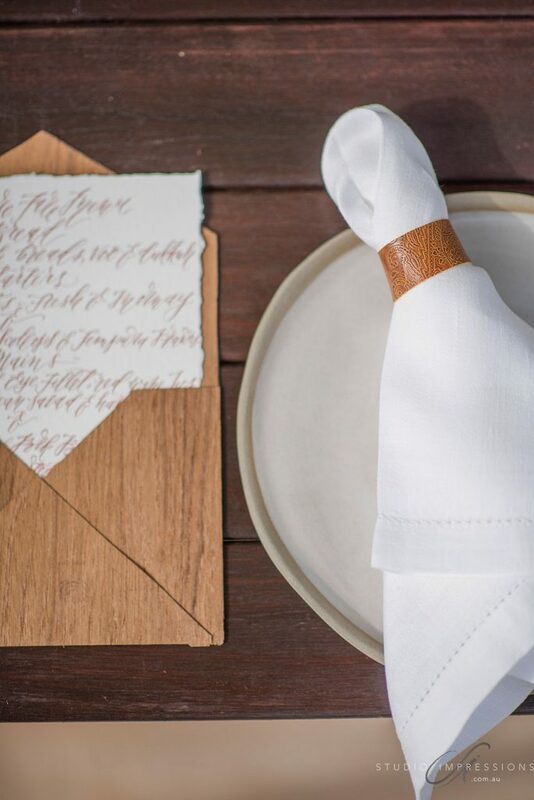 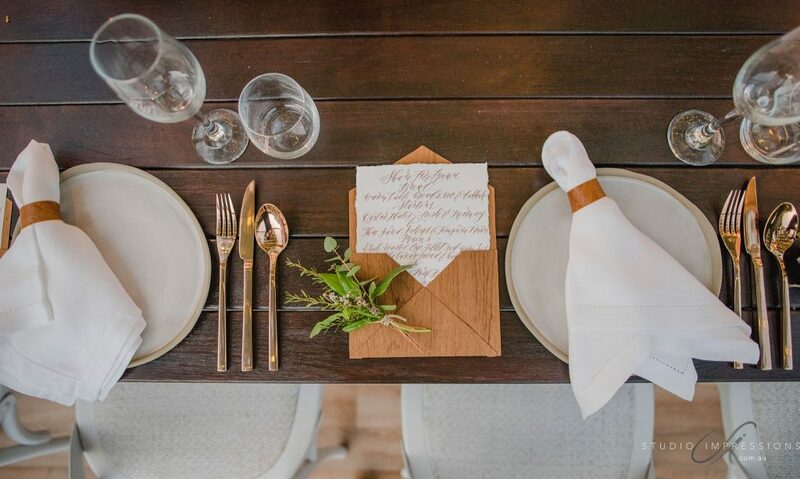 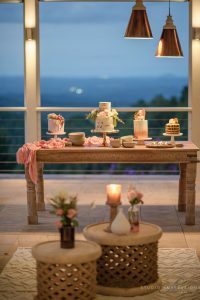 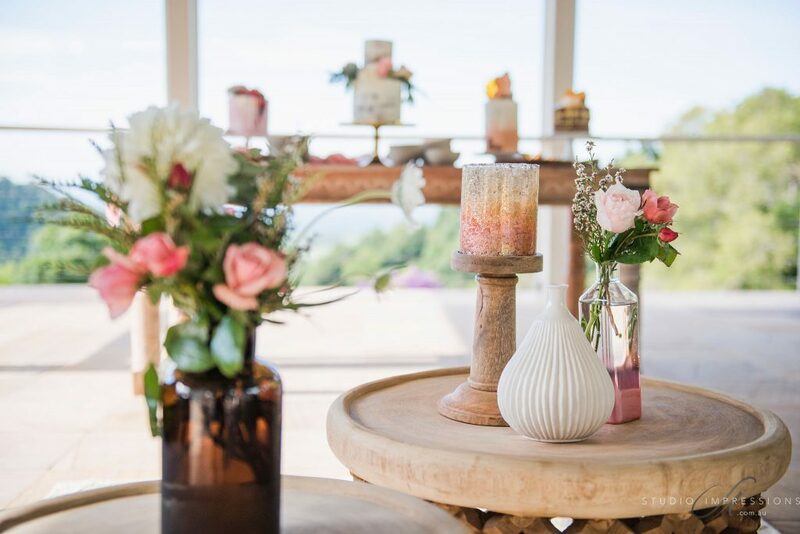 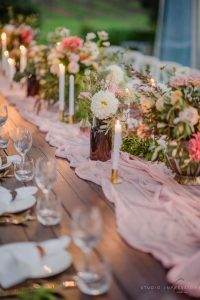 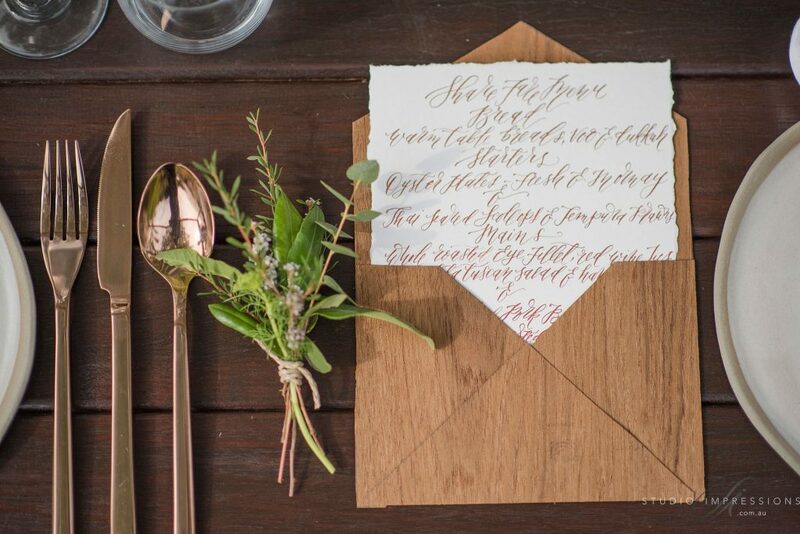 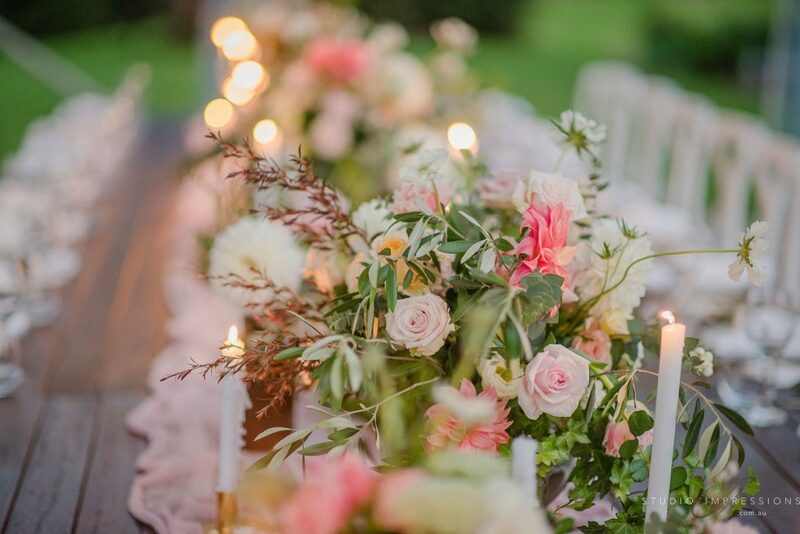 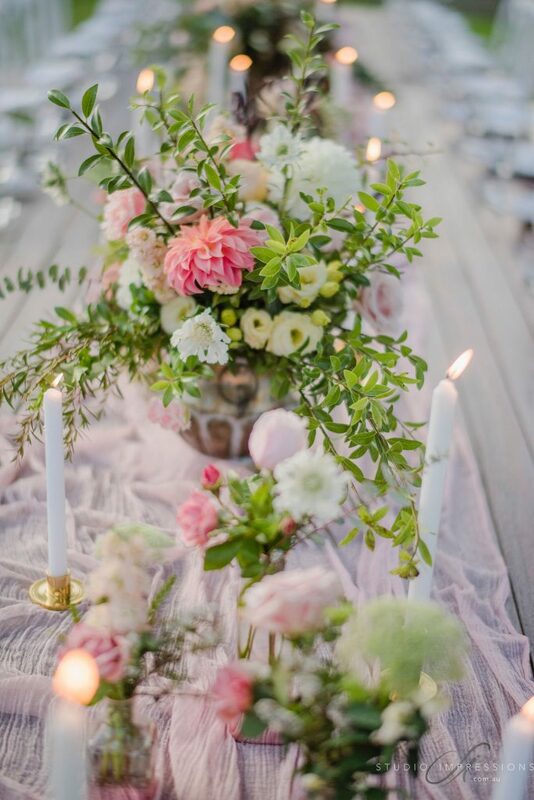 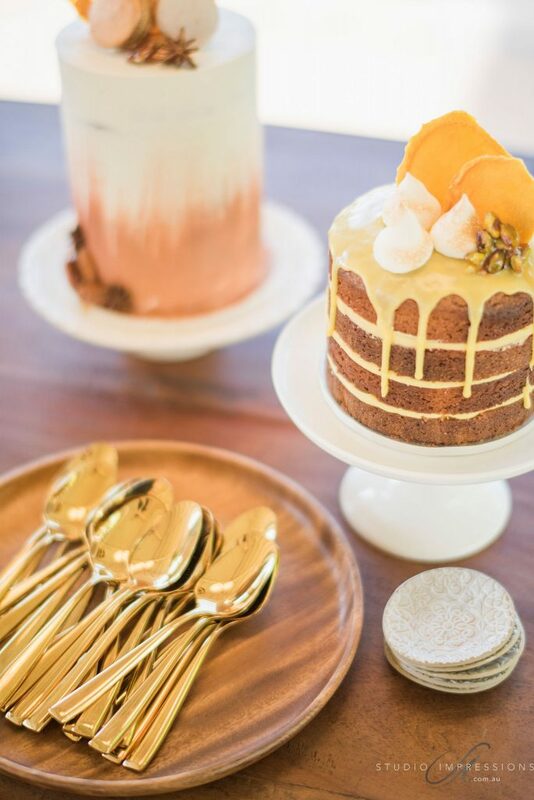 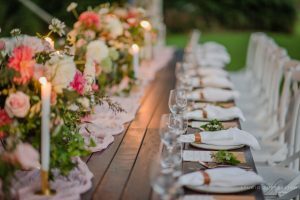 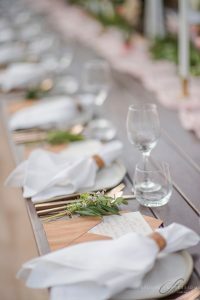 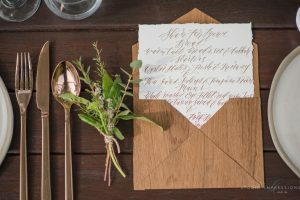 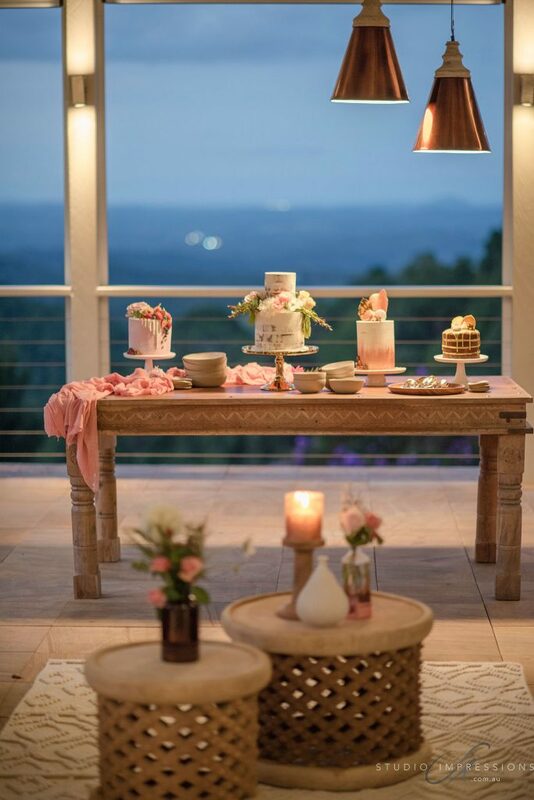 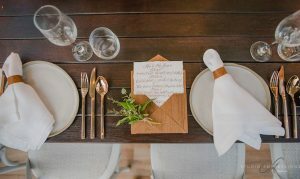 Featuring timber tables, ceramic plates, copper cutlery, leather napkin ties, metallic hand painted menus inside timber envelopes, hand dyed dusty pink runners, gold candlesticks and lush floral arrangements. 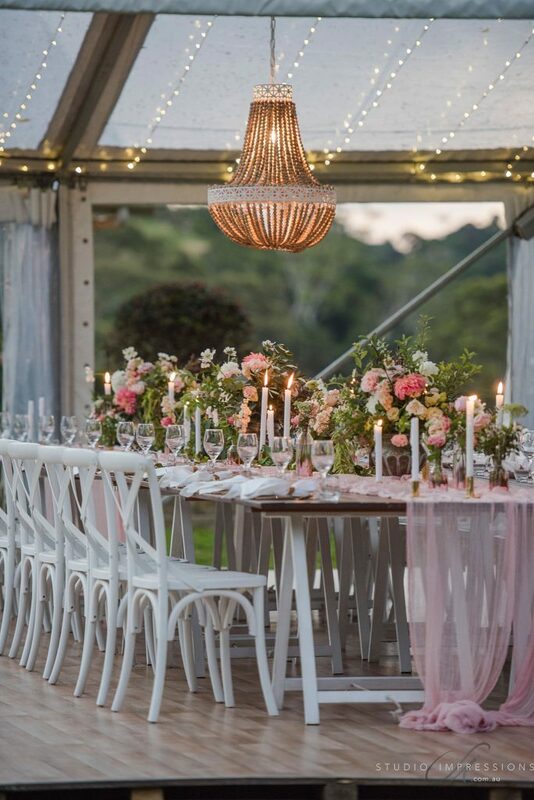 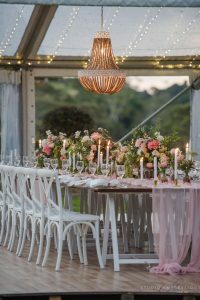 Warm fairy lights and a beaded chandelier hanging created soft lighting as the sun set. 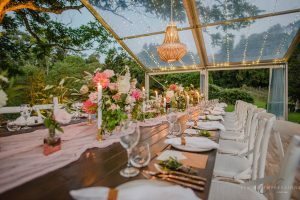 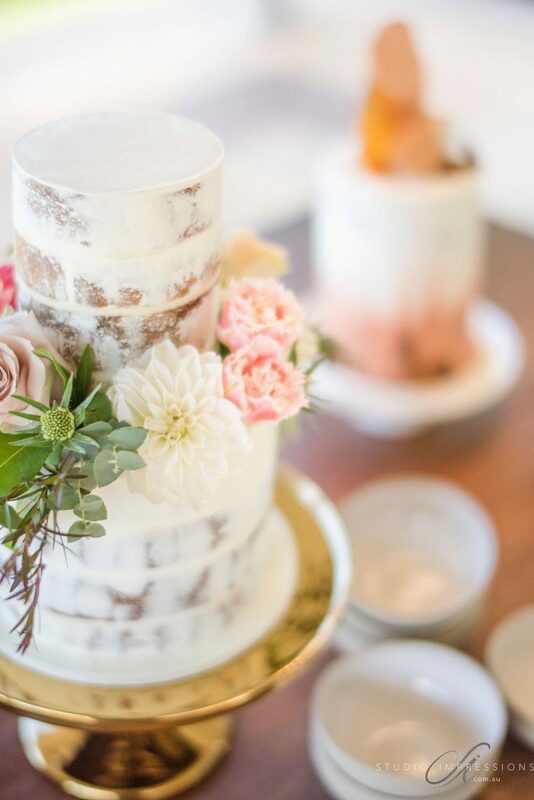 The pavilion featured a decadent after-dinner lounge and grazing cake bar. 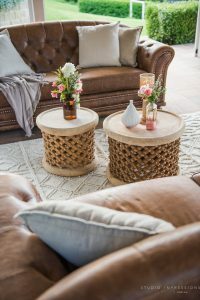 With cigar brown leather chesterfields, carved timber coffee tables, luscious throws & rugs, copper pendant lights and a beautiful selection of cakes on display. 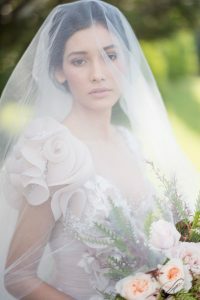 There were a number of bespoke pieces created especially for this shoot that make it super special. 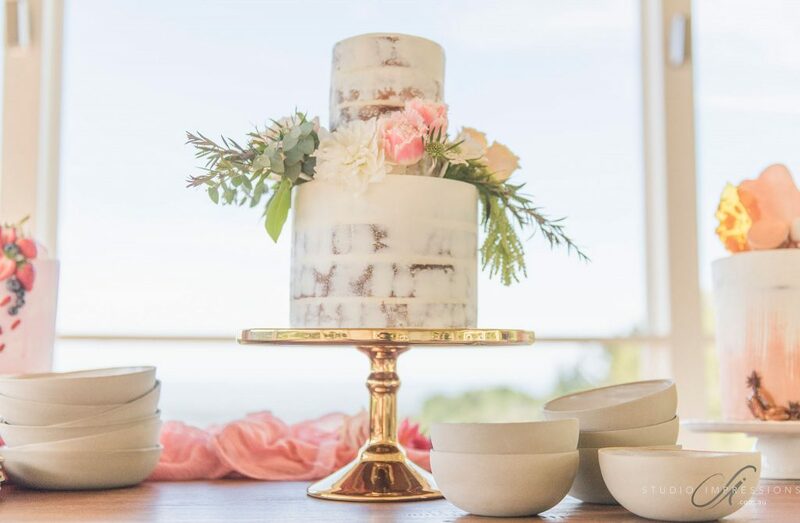 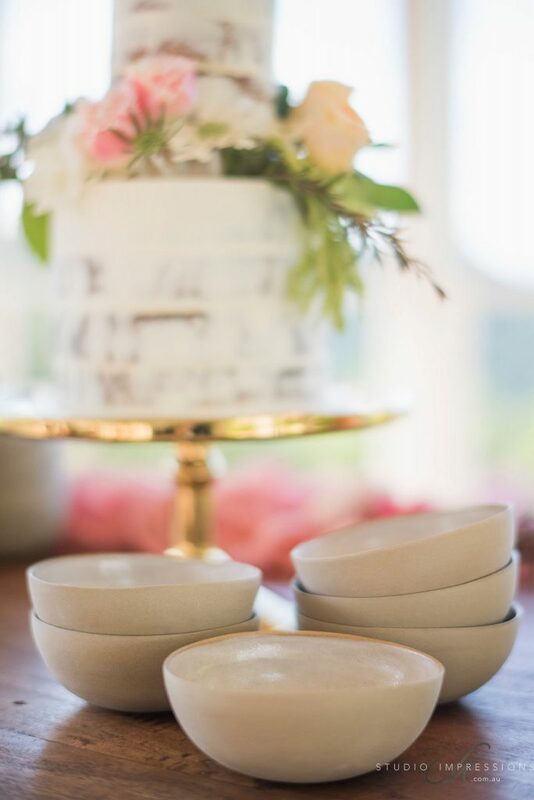 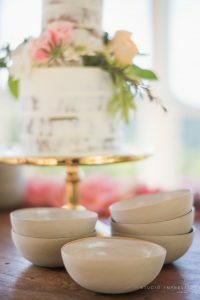 a local ceramic artist designed a beautiful collection of dinner plates, dessert bowls & tiny serving dishes for this shoot. 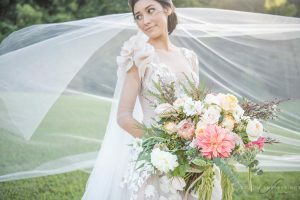 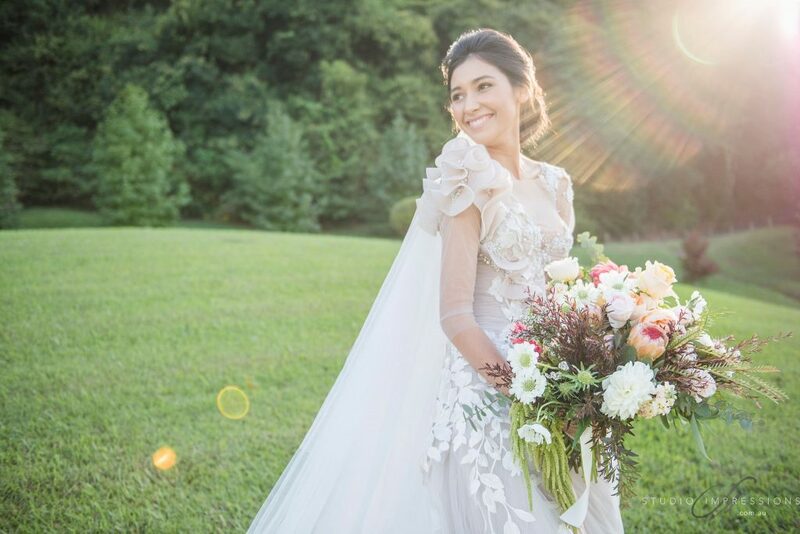 MXM Couture created a one-of-a-kind gown designed especially for this shoot. 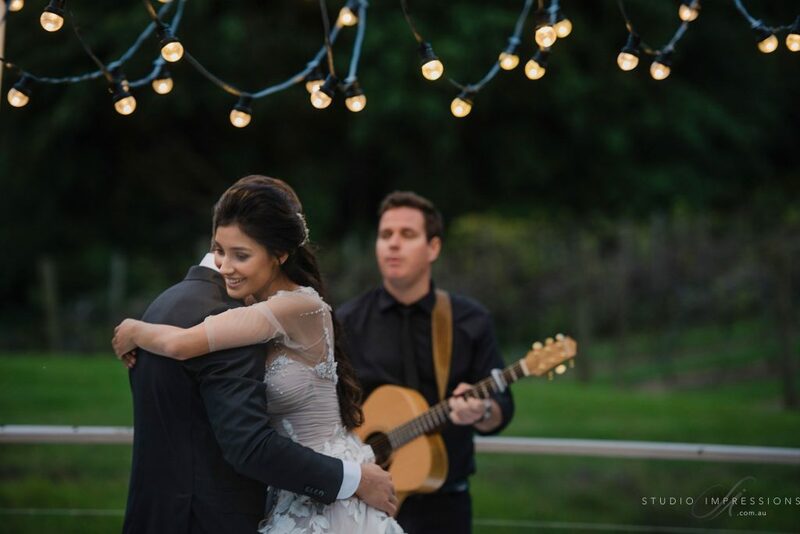 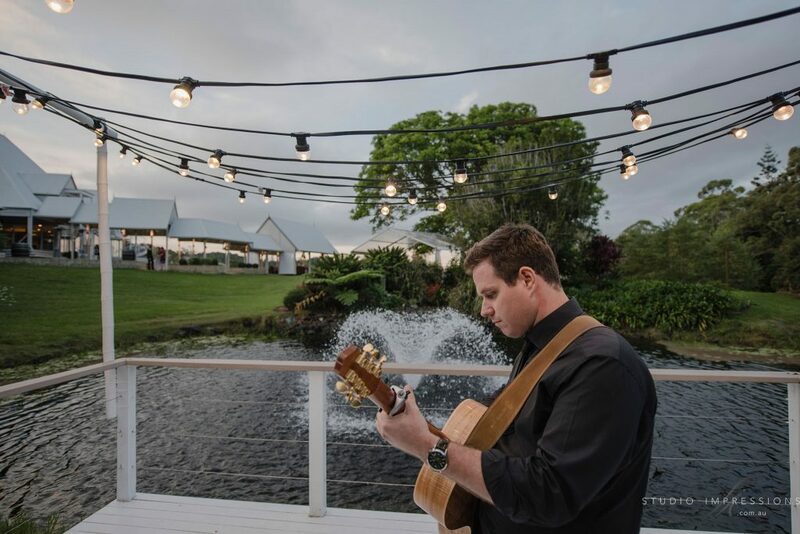 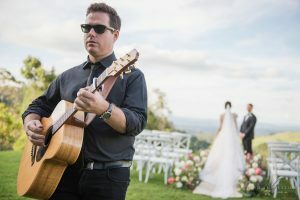 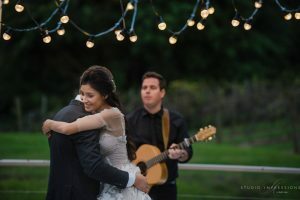 We also worked closely with a talented local singer/songwriter who tugged on everyones heart strings with his cover of never tear us apart by Australian band, INXS have a listen to the moving film by Lester & May showcasing his work on our films page.